A fresh, fun, easy, cookbook, filled with color photographs, that reveals all the delectable things you can do with toast, one of today’s hottest culinary trends.  The recipes serve as a flavor profile building blocks, making Better on Toast a great introductory cooking guide, too! Whether she’s frantically preparing for an impromptu gathering with friends, looking for an energy boost before the gym, or home alone staring into the fridge for a midnight snack, Jill Donenfeld turns to one dish that always satisfies—Toast. Tartine, open-faced sandwich, smørbrød—whatever you call it, it’s that single slice of perfect bread stacked high with fresh, flavorful toppings. 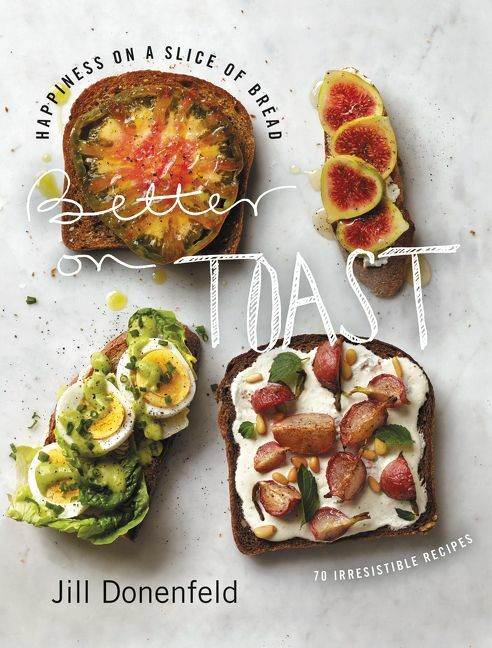 Better on Toast features delicious, quick, easy-to-follow recipes for toasts with every possible topping—from hot to cold and savory to sweet. Anyone can make delicious toasts, no matter his or her level of experience or kitchen size. Whether you use thick-cut French bread, slices of whole wheat, or her gluten-free bread recipe, Jill puts emphasis on flavor, using quality, wholesome ingredients to make each recipe stand out. With Better on Toast, you can enjoy these elegant yet simple meals anytime and for any occasion, using classic ingredients in new ways and playing with interesting ingredients you’ve always wondered about.